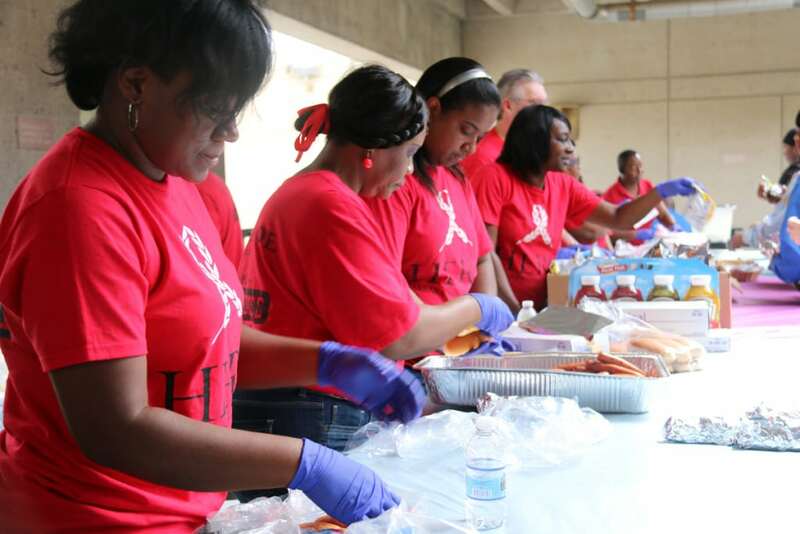 TUNICA, Miss., April 13, 2015 – Employee volunteers referred to as Caesars HEROs from Horseshoe Casino & Hotel and Tunica Roadhouse Casino & Hotel in Tunica, Mississippi enjoyed cooking out for patients and families at the Memphis VA Medical Center one recent spring day. “Caesars is committed to making our communities vibrant places to live and work as well as supporting those and their families who give of themselves to ensure we continue to enjoy the liberties this great country was founded on. 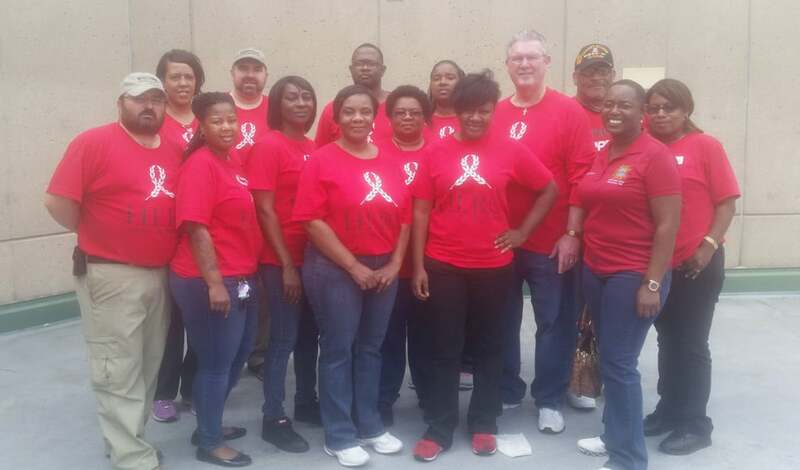 We make a point to have cookies and coffee at the Memphis VA Medical Center every month and enjoy a few big events a year such as the spring cookout and our Christmas gift parade,” said R. Scott Barber, Regional President, Caesars Mid-South. 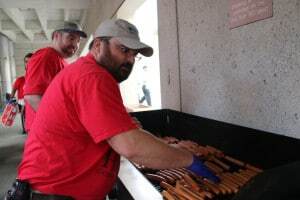 Caesars HEROs along with volunteers from the Hernando VFW post 7531, Whitehaven VFW post 11333, Pride Hyundai of Batesville, Miss., and the Mid-South Camaro Club cooked over 1150 hot dogs and served them with chips to patients and their family members so they could enjoy lunch outside in the beautiful Memphis spring weather. 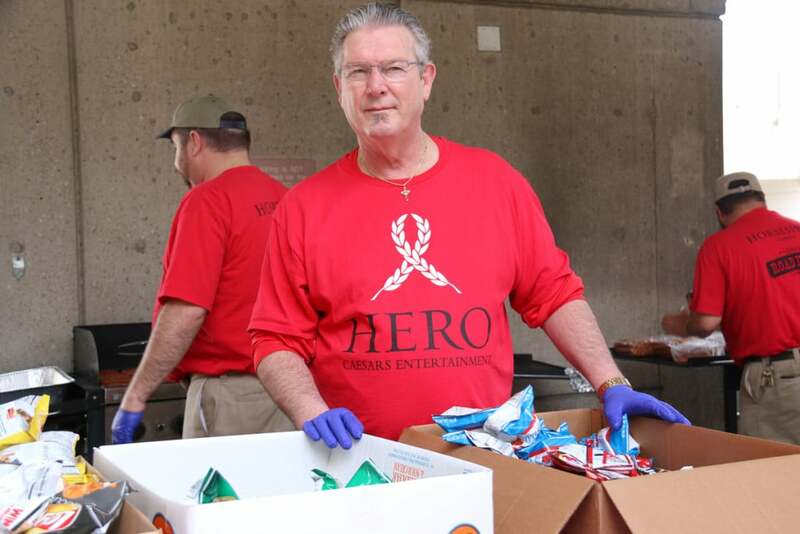 HERO Event Captain, Steve Mitchell, cooking hot dogs at the Memphis VA Medical Center for patients and their families. 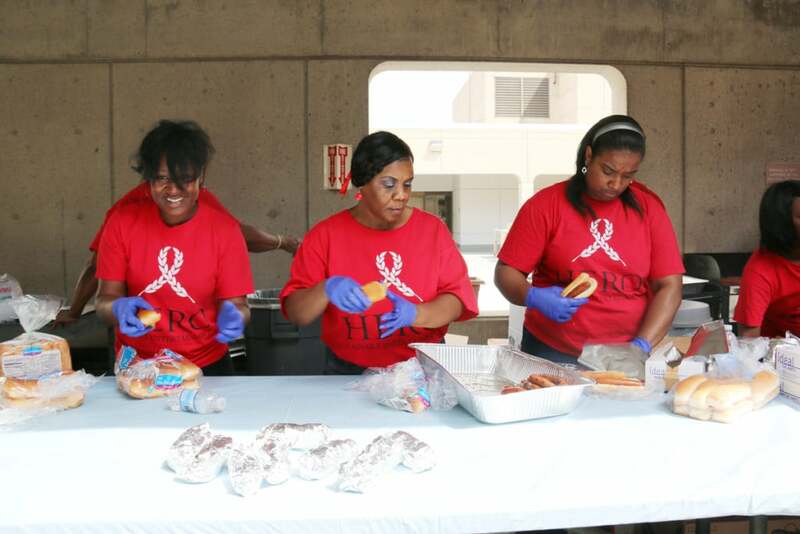 Left to right – HEROs Marcia Crawford, Linda Palmer, and Tandre Jackson assemble and serve hot dogs at the Memphis VA Medical Center for patients and their families. HERO Randy Sims distributes bags of chips to patients and families at the Memphis VA Medical Center. HEROs assemble and serve hot dogs at the Memphis VA Medical Center for patients and their families. Caesars Entertainment’s Mid-South Region comprises the operations of Horseshoe Tunica, and Tunica Roadhouse casinos in Robinsonville, Mississippi; located 20 minutes south of Memphis, Tennessee. These two unique Caesars Entertainment gaming and entertainment operations all focus on providing excellent customer service paired with best-in-class entertainment experiences. Horseshoe Tunica has been the market leader in gaming and entertainment since opening on February 13, 1995. The casino known nation-wide as the place where real gamblers come to gamble is currently being remodeled to include state-of-the-art technology and luxurious furnishings and contains over 1,380 slot and video poker games, the widest variety of table games in the region including an Asian gaming section featuring an Asian noodle, Noodles. The newly renovated 25-table World Series of Poker themed poker room featuring a WSOP lounge is a poker player’s paradise. Horseshoe Tunica guests enjoy a 14-floor hotel tower with over 500 luxuriously appointed rooms featuring world-class customer service and amenities including: Jack Binion’s Steak which is currently being remodeled to offer contemporary as well as classic fine dining offerings and a wine bar, the all you can imagine Village Square Buffet featuring fare from all over the world and highlighting Southern specialties and desserts, and the area’s only Starbucks. Horseshoe Tunica consistently books headline entertainment to perform at the 1500 seat intimate and stellar Bluesville concert hall. For more information, please visit www.horseshoetunica.com. Tunica Roadhouse Casino & Hotel originally opened August 1, 1994 as Sheraton Casino and Hotel. The updated Tunica Roadhouse casino opened December 18, 2009, 20 minutes south of Memphis at Casino Center just off of the historic and official Mississippi Blues Highway, U.S. 61. Tunica Roadhouse is known for serving up exemplary customer service and southern hospitality alongside the best value low-limit games in town. The 92,000 square-foot casino and hotel features 134 spacious and elegant suites each with king size beds and marble and granite whirlpool tubs, 33,000 square feet of gaming space, 800 slots and video poker machines, 36 table games, The Roadhouse Diner, designated motorcycle parking, and a gift shop. For more information, please visit www.tunica-roadhouse.com.